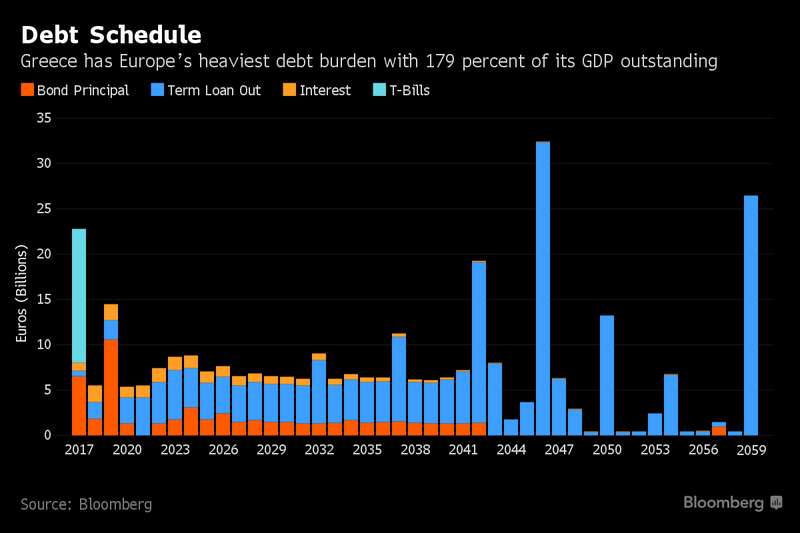 Greece’s creditors agreed to release 8.5 billion euros ($9.5 billion) in new loans for Athens, capping a key chapter of the country’s bailout and ending months of uncertainty over whether it could meet large bond payments due in July. 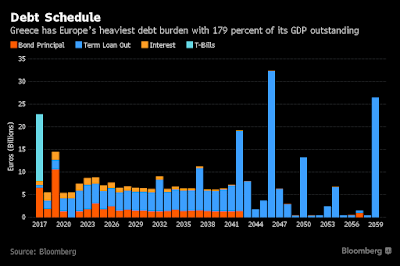 The decision came after euro-area finance ministers sought to offer more clarity on Greece’s future debt path and outline possible measures they could take to ease its burden in the future. 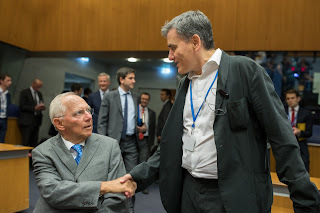 Meeting in Luxembourg on Thursday, they reinforced their commitment to extend Greece relief if needed and offered more specifics on what this could entail. But they stopped short of providing definitive steps, which they said would only come at the end of the bailout in mid-2018. The news sent the Athens Stock Exchange to a two-year high Friday. The compromise, nonetheless, leaves Greece with less than what it had sought, as it wasn’t enough to get the International Monetary Fund to acknowledge the country’s debt is sustainable. The Washington-based fund will consider signing off on a 14-month credit line for Greece, but only dole out fresh loans once it receives further assurances on debt relief measures. IMF Managing Director Christine Lagarde said she will propose the “approval in principle” of a new precautionary stand-by arrangement “probably in the range of $2 billion” that would depend on debt-relief measures materializing. Is Greece’s labour market bouncing back?